Newark Celebration 350 (NC 350) is a year-long jubilee of unique events and festivities commemorating the 350th anniversary of the city of Newark’s founding. NC350 was the vision of the late Dr. Clement A. Price, Newark’s foremost historian and tireless booster of the city and its people. In his eyes, this momentous mark in time is an opportunity to take stock in ourselves and benefit from the wisdom and experience of our collective narrative. Over 150 marquee programs will highlight the city’s rich history, remarkable achievements, diverse communities and extraordinary culture presented by a unique coalition of citizens, educational institutions, cultural organizations and community groups. This spectacular “festival of festivals” aims to inspire and excite locals and visitors from around the world by showcasing the best of this great American city. For more info visit www.nc350.org #newark350. Faith Evans performs at Newark Celebration 350 Founders Weekend Festival at Newark Symphony Hall May 13, 2016 credit: Christine Da Cruz/Dream Play Media). 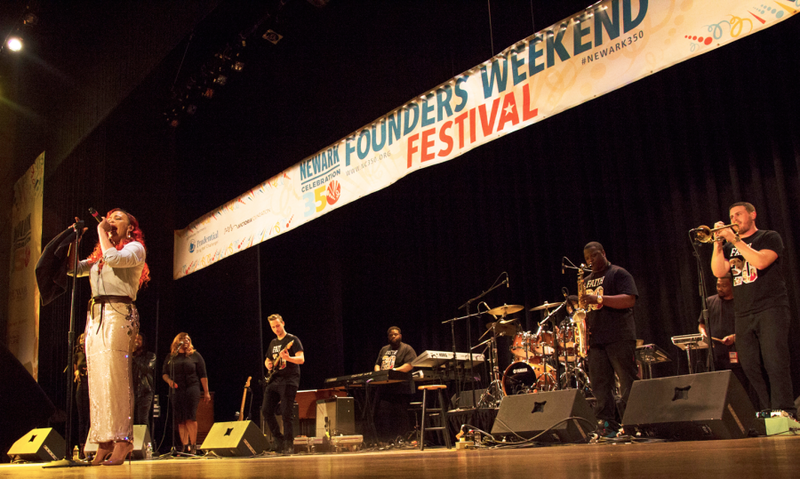 Header photo: Thousands attend Newark Celebration 350 Founders Weekend Festival in Military Park May 14-15 2016 credit: Maria Perozo/Dream Play Media.